Surfer who became stand-up-paddle (SUP) world champion in 2012. 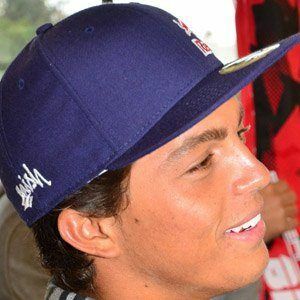 He placed first in the 2012 Hawaii Island and Sunset Beach SUP-pro Finals. His surfing specialties include big waves, SUP, racing, tow-in, kite-surfing, and windsurfing. He was born in Paia, Hawaii, and later moved to Maui. He and his contemporary, JJ Florence, both won major surfing titles.